This week’s topic: What was the best book you read in March? 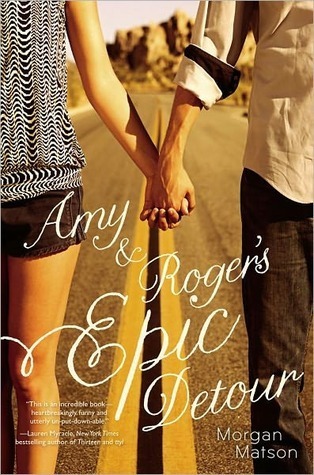 AMY AND ROGER’S EPIC DETOUR by Morgan Matson: I really really enjoyed this novel. The setting was great and made me think of my upcoming honeymoon so definitely a winner for this month! I thought both characters were well developed and I got lost in their story. And there are definitely a lot of swoon-worthy moments…and those which squeezed my heart. Always a plus! I am definitely adding SECOND CHANCE SUMMER to my TBR list. Thanks again Jaime for pointing this book out to me! 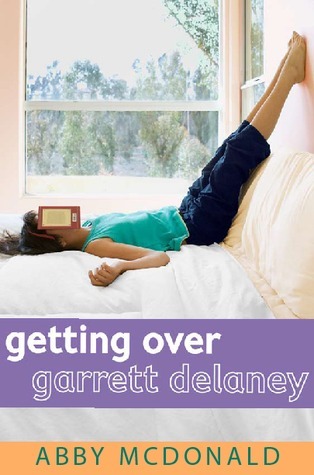 GETTING OVER GARRETT DELANEY by Abby McDonald: A cute one and I liked the premises of the story. I also think the author did very well at portraying the different relationships. I enjoyed the developing and rekindling of friendships. 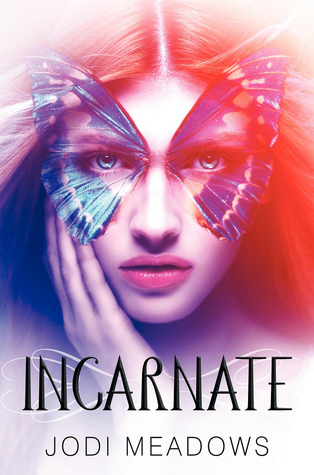 INCARNATE by Jodi Meadows: Honestly, I was unsure about this book before started it. I was afraid I’d be disappointed. I’m glad I wasn’t. It took me a few pages to really get into it and once I was, there was no turning back for me. Plus, the swoony moments involved a piano and gosh how I missed mine while reading those lines! TRAFFICKED by Kim Purcell: Difficult. Heart-wrenching. Some reviewers mentioned that they thought Hannah was too naive and I don’t think she was. Of course, she knew the dangers but she was going for what she thought to be a better life, for her grandmother. I felt for her. I cringe and I wanted to scream at some of the things happening during the book. So, tell me what was your favorite book(s) of the month? Wow! This is a slow month for you?! I loved On Writing…very helpful. And I plan to add some of your YA to my wish list. So many books! I wish I had time to read this much. I agree with INCARNATE for sure! Have you read CINDER? That was the other one on my list for this month. I bought AMY & ROGER at the Border’s liquidation sale, and I really loved it, too! Road trip books are so much fun, but Matson’s style was kind of literary, which felt refreshing after reading so many frou-frou books. 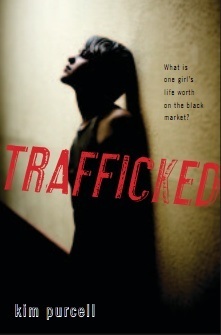 I’ve been hearing great things about Trafficked… Glad to hear you enjoyed it. 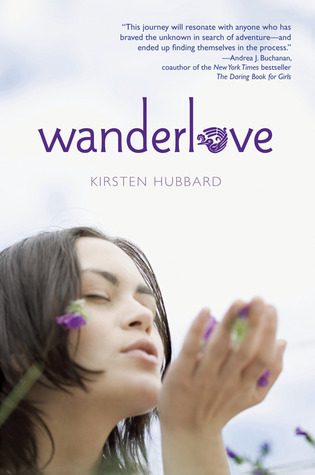 And I’m looking forward to your Wanderlove post… I kind of loved that book! Wanderlove was my pick, but like you it’s mostly shhhh until Friday. 😉 I really liked Amy & Roger’s Epic Detour. I’m a fan of road trip novels in general, but I thought the romance in this was adorable. Grr…Wordpress is making me comment as my WordPress blog instead of by filling in my details. Sorry! INCARNATE was a beautiful story, and I’m already looking forward to the sequel–whenever it comes out. 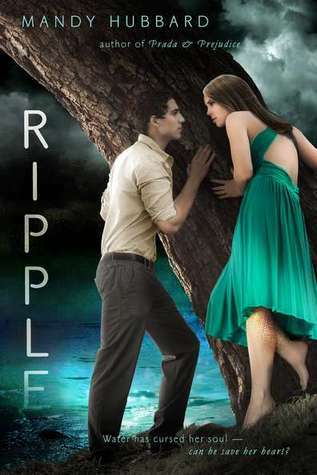 I definitely have to add RIPPLE to my tbr list. 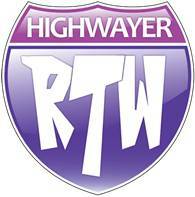 By the way, I have Warded you the Versatile Blogger Award! Details are on my blog :). THe first three books you mentioned are currently on my night table. How funny! Glad you liked them; can’t wait to jump in. ALso, I enjoyed ON WRITING. I liked the writing parts moreso than the autobiography parts, but overall it was interesting. Unfortunately the few books I read weren’t all that great…but I did just finish Kelley Armstrong’s The Summoning (#1 in the Darkest Powers Series). and I enjoyed it.